How to reduce spoiled food at home - five easy steps to a waste-free kitchen. How to reduce spoiled food at home – five easy steps to a waste-free kitchen. Reducing food waste along the whole food chain from farm to table has been a hot issue for the last five years. Yet, despite all TED Talks, frightening figures and alarming news, easy to use, all-in-one tools for the end consumer are not available. That’s why we developed CozZo with the single goal in mind – to provide each household with an accessible instrument for smart shopping and reduction of uneaten food at home to a minimum. We started by making a detailed investigation of the whole consumer journey. From home to the shop, then back to the kitchen, to the fridge and pantry, then out for the stove, the table, (sometimes) back to the fridge, then (often) to the trash bin. We identified the main reasons why we all throw away food at home. Then we integrated into our application as many features as necessary to solve each step of the problem. Why is food lost in every European and US household? We are not able to eat the food because at some point we did not estimate properly how much we had to buy. Every waste-free guidebook starts with the top of mind advice “make a list and stick to it”. That is absolutely a must, we agree. But there’s an extremely important step that you should take before this first step. You cannot make a precise shopping list if you don’t know the exact amount of groceries and essentials that you already have. Let’s assume you have the good habit of making a list prior to every shopping. How do you do it? By a quick overview of what’s on the top shelf of the fridge and (maybe) the rice and pasta cupboard. 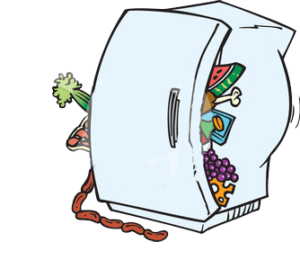 You don’t know all the food that is stored in your fridge, freezer and pantry. Let alone how long it has been there and when it is going to expire. Every single house has had its UFOs at some point, if not always. 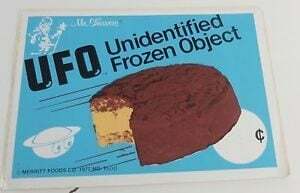 Where UFO stands for Unidentified Frozen Object at the bottom of the freezer. CozZo solution: We found there are multiple apps to help you make a shopping list, as well as general purpose lists tools. But there was none that combined those two for you. So in CozZo, we paired your complete searchable household inventory with a smart shopping list. As you can guess, we don’t know what is currently stocked in your home, but we created two ways for you to make the inventory with minimum effort. A “template” list is offered by the app for a “quick start” or you can just fill it “on the go” by crossing off items from your shopping list. Once you’ve done it, it will be yours forever – CozZo has all the controls to let you keep it up to date with minimal effort. We discard food because it is passed its ‘best-before’ date. We shouldn’t. Food in developed countries is relatively cheap. It has been so in past 40 years, so we do not bother to be careful when buying and storing groceries. We also tend to be overprotective and generally risk-averse. If the stamp on the yoghurt says “best before 12-10-2016” we prefer to be on the safe side and do not eat it two days later. This kind of consumer behaviour should change for multiple reasons. 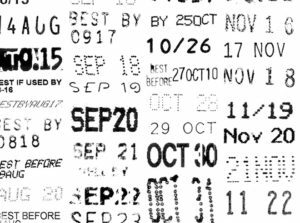 The most important one being the very nature of “best before” dates. These are manufacturers’ advisory time frames indicating their pessimistic prognosis for how long the product will be at its highest quality at the “typical” storage conditions. With an exception of very few food types, the date does not mean that the product poses a risk for people’s health pass this time and if you have a modern refrigerator it will keep the food longer. CozZo solution: Our product creation AI suggests a realistic shelf life (called ‘Use/Best Within’) for the optimal storage place – your fridge, pantry or freezer. Naturally, you can pick a time period based on your own personal estimation or use an “old-fashion” fixed expiry date. Our ‘Use/Best Within’ periods are far handier than a fixed date as they allow for automatic calculation of expiry date for current and future product buys. CozZo is also super-precise in tracking and reporting on the status of your groceries. If the food is highly perishable, you will get a strict reminder and the product will be red-flagged. For all other foods, that lose their flavour in time but are safe to eat you’ll get a gentle reminder and a green-flagged display. To help you perfect your shopping and cooking routines we check your home inventory several times in a day and reminders for products that need your attention are sent to the home screen of your phone. They allow for a quick product update even without opening the app. Food ends up in the bin because we have been too optimistic about our cooking plans. If the first principle of smart shopping is ‘plan ahead’, the second one is ‘don’t plan too much’. 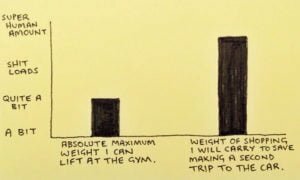 This is extremely relevant for those who prefer one big weekly shopping rather than going to the deli 3-4 times a week. When we go to the store with the good intention to secure the meal plans for at least 5 days ahead, we always go for the optimistic prognosis. We make sure we buy products for 5 days of home-made dinner, plus lunch boxes, snacks for the office, etc. Then we go out one evening, the next day someone has a birthday in the office. There you go, you have 25% more food than needed, with a likelihood that 100% of it will go to the bin. CozZo solution: Waste-free kitchen guidebooks say that you should always plan a lazy evening or two. CozZo helps you do it the easy way. You just go through your “At Home” list while still at the office and think of what you can do with what’s available. This saves you time as well. When you know that you have everything for your salad but mozzarella, you go to the deli just for mozzarella. Otherwise, you will wander around the store for ‘”something for dinner”. And you will leave 20 minutes later with a full cart of unplanned grocery shopping. We can’t use the food because supermarkets have convinced us that buying in bulk is good for us. Timewise and budget-wise. No, it’s not. Multiple surveys have proven that buying in bulk eventually leads to more food waste. If you eat a yoghurt a day, buy a six-pack. But if you are eating one every sometimes, buy one only. Or two. Ignore the “six at the price of four” label. Buying large containers or multiple packs has more side-effects than food-waste. It means you have to go shopping with your car. You need more storage space at home. And you will eat (mindlessly) more than you think. CozZo solution: The third main feature of our app, apart from the home inventory and the shopping list, is its Journal. For each product, you can say whether you used it all, or how much of it you were not able to eat in time. So next time you put six yoghurts on your shopping list, the app will remind you that last week 2 of those were thrown away. We assume this will serve as a stopper for impulsive buying of more food than you actually can consume. The last main reason for food loss at home is storage. Processed goods and those, “reinforced” with preservatives have a long shelf life. We overstock them along with more “healthier” produce and farm foods – to accommodate for all that, storage space in our homes has also increased – big pantries, huge fridges, stand-alone freezers. Products are pushed at the back and stay in cupboards and fridge until they spoil. We hope that you’ll agree with us that nowadays no one has the time to do daily kitchen checks and memorise expiry dates. CozZo solution: With CozZo, most of the updates in your digital food catalogue happen as you plan meals and do grocery shopping. Our “days to go” indicator will tell you what food you need to use first or how much time has passed since “use by” date. On top of that, home screen reminders will bring to your attention food that is about to expire. Health-wise, we encourage you to increase the share of fresh and unprocessed foods in your basket. When you have a reliable tool for keeping tabs on them, you can be sure that they won’t end in the bin. Our project aims at providing not only advanced mobile technology but also at raising food-waste awareness. We strive to educate, motivate and develop a community of smart shoppers who care for the environment. CozZo iPhone app is the first step in a strategy to build a complete system of connected devices that help reduce uneaten food to a minimum. When you start using the CozZo app and have a regular overview of what foods you throw away most often, you can adjust the way you store them. Here’s a full list of guidelines for the most common products in our kitchens. We hope we’ve been helpful.